There are three options for studying hospitality at Bryant & Stratton College. Degree options include a Hospitality Management Associate Degree, a Restaurant and Hotel Management Associate Degree, and a Hospitality Assistant Diploma. The degrees are available at various campuses and online. The Hospitality Management Associate Degree is available in New York, Ohio, Virginia, Wisconsin and online. The Restaurant and Hotel Management Associate Degree is available in New York and online. The Hospitality Assistant Diploma is available in Wisconsin, Virginia, Ohio, and New York, as well as online. Students who enroll in the Hospitality Management Associate Degree program can find work as a lodging manager, concierge, or food services manager. Courses required in the program include Introduction to Hospitality Management, Leading Hospitality Services Management, Computing Skills, and Fundamental Hospitality Management Principles. At the conclusion of the program, students will be able to recognize the core concepts in hospitality services, human resources, and operations. Students will also understand how the professions, entities, and facets of the hospitality industry work together and know how to compare common decision-making methods used in hospitality. Students in the Restaurant and Hotel Management Associate Degree program will study similar topics and will emerge from the program prepared to enter the workforce or participate in further study in areas like business management or hospitality. Classes required in the program include Ethical Hospitality Management, Fundamental Hospitality Management Principles, Workplace Mathematics, and Convention & Events Management. There are 32 credits of major requirements in the program. Job environments available to graduates of the program include those in sports venues, hotels, travel & tourism, the food & beverage industry, and casinos. Students who enroll in the Hospitality Assistant Diploma program will also have access to those industries and will take similar classes. The diploma option requires that students complete 24 credits in hospitality and related areas and 36 credits overall in other areas like business and research. Classes in the program include Introduction to Hospitality Management, Research & Writing for the Workplace, and Technology in the Hospitality Management Industry. Students who enroll in programs offered online take identical classes to students enrolled in campus-based classes. Students can request information on each of the hospitality degree and diploma options at Bryant & Stratton College to help them decide which program will offer the best opportunity for future employment in the hospitality industry. Bryant & Stratton College is a private college with campuses in several states that include Ohio, Wisconsin, New York, and Virginia. The school also has an extensive online campus where many of its bachelor’s and associates degrees are offered. The school’s main campus is in Buffalo, New York, and the college is affiliated with the Association of Proprietary Colleges. There are nearly 14,000 students attending the college online and at its various locations. The school’s official colors are blue and white, and the college’s mascot is the Bobcat. Some early and famous students of the college include Henry Ford and John D. Rockefeller who attended in the 19th century. Popular programs at the school are in subjects like business administration, accounting, marketing, and criminal justice. The regional accreditation agency for Bryant & Stratton College is the Middle States Commission on Higher Education, and the college is also accredited by a variety of state and federal agencies. Some of the state departments that have granted approval to the college include the Ohio Board of Regents, the State of Wisconsin Educational Approval Board, and the New York State Board of Regents. Programs offered at the college are also approved by various accrediting agencies operating nationwide and in specific states. Programs accredited by the university include the Associate Degree Nursing Program, which is accredited by the Accreditation Commission for Education in Nursing (ACEN) and the Physical Therapist Assistant Program, which is accredited by the Commission on Accreditation in Physical Therapy. The Medical Assisting Program is accredited by the Commission on Accreditation of Allied Health Education Programs. The admission process at Bryant & Stratton College begins with the submission of high school transcripts and all required paperwork. Students may need to complete various course or program evaluations prior to admission, as well as provide proof of vaccination. The college recommends that students participate in a campus tour with an admissions representative, as well as sit down for an interview with the representative to discuss available programs. Students can also work with a personal admissions representative to apply to an online program and will have access to a representative to discuss the student’s goals for enrollment. The college has requirements for online study that include minimum hardware and software requirements that will enable them to participate in online study without impediment. Tuition and fees vary for each program offered at Bryant & Stratton College, and students should use the Student Consumer Information page on the college’s website to determine the likely cost of their program. For example, the Associate’s degree in Hospitality Management is designed to take two years to complete with a total cost of $36,390 for tuition and fees. Students should also expect to pay approximately $3,600 for books and supplies. The average student graduates with around $13,000 in educational debt and has a monthly loan payment of $136. Alternatively, the Bachelor’s degree in Accounting is designed as a four-year program with a total cost of $73,925 for tuition and fees and an estimated $7,200 total cost for books and supplies. As an example of a diploma program, the Undergraduate Certificate in Legal Office Assistant is an 18-month program with an estimated total cost of $31,938 for tuition and $2,700 for books and supplies. Financial aid at Bryant & Stratton College is available through the federal government with the submission of a FAFSA form, as well as through state funding grants, qualifying scholarships, and other student loans. Students will work with the financial aid staff at the college to determine available financial aid options and the best options for paying for school. Students may qualify for several types of scholarships offered by the college that include Academic Excellence Scholarships, Early Acceptance Scholarships, Adult Learner Scholarships, and Salute to Spouses Scholarships. 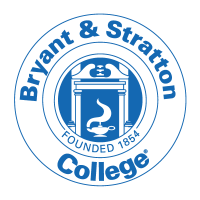 Students interested in the hospitality degree programs at Bryant & Stratton College may also want to investigate tuition reimbursement programs with their employers.